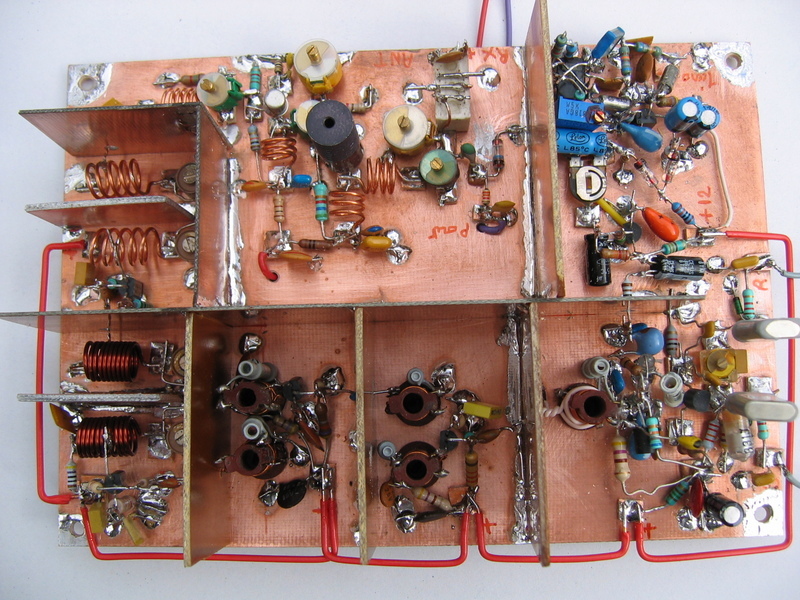 The hart of the transmitter is the integrated circuit ICS501 that allows it to generate a stable a clean signal on 144MHz using just a few components. 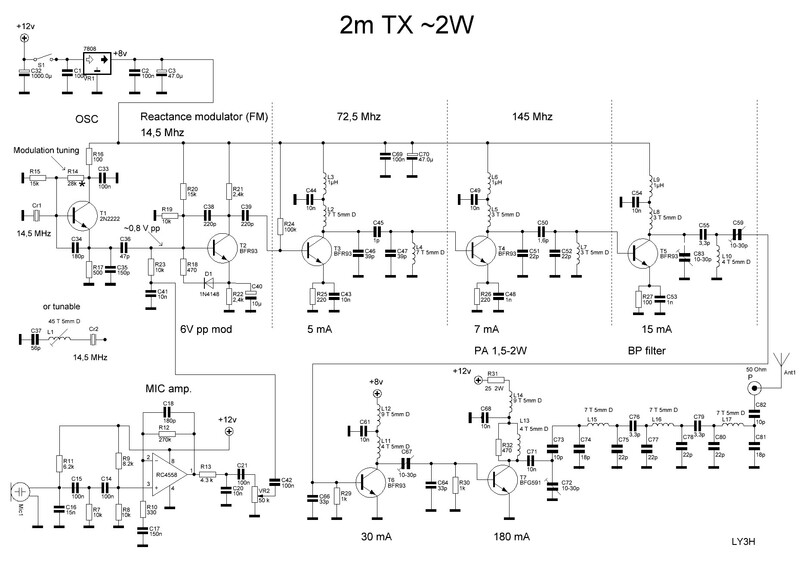 Block Schematic of my homemade 144.000 MHz CW 1.5Watt transmitter. The Xtal osc is riped from an old AT-PC running 16MHz, it requeres 5.0 volt and use 18mA. This is a easy to build and low cost 144MHz mini transmitter that produces a remarkable 'clean' 144MHz signal up to 15 mW. It can also be used as exciter to drive a PA. This version of the 2m ARDF Transmitter, has a reduced pcb size designed to sit over a 6xAA battery pack, which allows it to be housed in an enclosure half the size of previous versions. I use this simple CW transmitter for working through the RS13 satellite. Using just 10 Watts and a dipole at 3M above ground, I have made many contacts around Europe and across the Atlantic. On 144 MHz it is heard well within 4 meters distance. 432MHz beacon is heard good about 30cm. For easy converters/receivers testing. I have had requests to add a VHF FM transmitter, to the QRP collection. 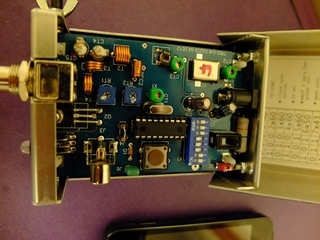 This project is a simple transmitter using only one crystal and will cover 145.00 to 146.00 MHz. L'installation locale d'un relais VHF sur une fréquence incompatible avec le synthétiseur de mon ancien transceiver 144 Mhz au pas de 25 Khz, m'a amené à réaliser ce montage expérimental.